<Any>Accountability and Reporting to stakeholdersAppointing and Managing professionalsAssessing Assets, Avoiding LiabilitiesAsset Transfer Legal ToolkitAssets or liabilities?Benefits of Asset TransferBusiness planningCampaigning and lobbyingCommunity InvolvementCommunity Library ServicesConstruction and ManagementCustomer Service and Relationship ManagementDefining PurposeDemonstrating Community NeedDemonstrating your achivementsDiversifying Services in Community LibrariesEquality and Diversity ConsiderationsFacilities ManagementFeasibility StudiesFinancial managementGeneral Responsibilities for Running Community ServicesHealth and SafetyInsurance and Tax Issues for Asset TransfersLegal Considerations for Library TransferLinking Services to Social PurposeLocal Authority Approaches to Library TransferManagement Systems and InformationManaging FinancesManaging PeopleMarketing Your LibraryMeasuring Impact and QualityMonitoring Services and Demonstrating ImpactNegotiating Asset TransferOrganisational DevelopmentOrganisational StructuresOwnership and Management AgreementsPartnership BuildingPolicies for Community Managed LibrariesPre-ConstructionProject Costs and IncomeProperty DesignPublic versus an Independent Library ServiceSecuring FinanceSecurityService DesignSkills and ExperienceSourcing and Maintaining StockStrategic FitSupporting sustainable library transferThe Case for Community Managed LibariesThe Development ProcessWhat is Asset Transfer?When is asset transfer suitable? The Libraries Taskforce blog helps you stay in touch with national developments and local opportunities. 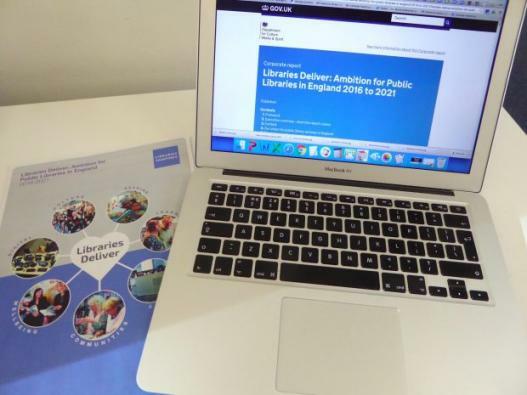 As a member of the existing Locality-managed Peer Network for community libraries, we would like your help in completing a short survey about its future. Over the next 18 months, a new initiative, funded by Power to Change, will see the creation of the Community Library Peer Network. The project aims to expand the existing Community Knowledge Hub to include a further 200 libraries with shared interests and goals. Are Carnegie Libraries protected by Trust status? A lot has been happening in the world of community libraries in recent weeks so, here's a round up of: •	National News •	New Community Managed Libraries •	News from the Network •	Resources and Opportunities. The day-long event will pull together library campaigners and supporters from across the UK and give them the opportunity to build on their existing campaigning skills and tactics, share ideas and strategies, and focus on a way forward to make their local campaign as effective as possible, with the goal of ensuring library services are supported and protected, now and in the future.